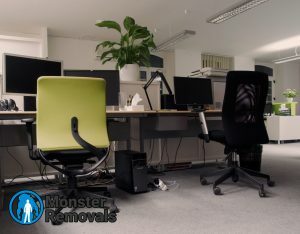 Office removals are a bit different from domestic ones, and you should know that very well before you start planning one. If you are a small business owner looking to relocate their place of work from point A to point B across London in the quickest, budget-friendly and stress-free manner possible, then you should be also acquainted with the following tips and tricks that have been tested numerous times in the field and are proven to provide excellent results in small-to-mid-range projects in terms of scale. Talk with your employees and discuss any changes that will be brought into your operation due to the relocation; decide whether you will ask your employees to help with the move in some fashion. Check the calendar and make a schedule/checklist for all tasks that you would have to cover before your moving date. There is a good possibility to land a great deal on your professional moving company – receive a service that is up to all industry standards and without having to part with huge amounts of cash in the process. All you need to do is start looking early on and send requests for quotes to as many of the highest-rated office movers in your area as possible. Ask if they offer any deals and discounts, and then pick up the one that best suits your requirements in both quality of service and budget. There are many excellent options for really cheap commercial removals in London and you should not find it hard to land one yourself. Remember that money however is not the most important factor here – if you want a successful office relocation, then you should not sacrifice quality in the name of a lower price. So, be careful. If you want the move of your office to affect the operations of your company as little as possible, then you might want to consider carrying out the whole endeavour during the weekend. If you are moving a relatively small office, there should be no problem resuming work the very next workday, which will no doubt be great for your business and clients. Speaking of clients, make sure that they know you will be moving your company’s headquarters well in advance. Update the info on your website and social media pages and print new business cards. Inform the post office, so that your mail can be redirected. Sending an email to your clients and partners, informing them of the change, will also be a good idea.